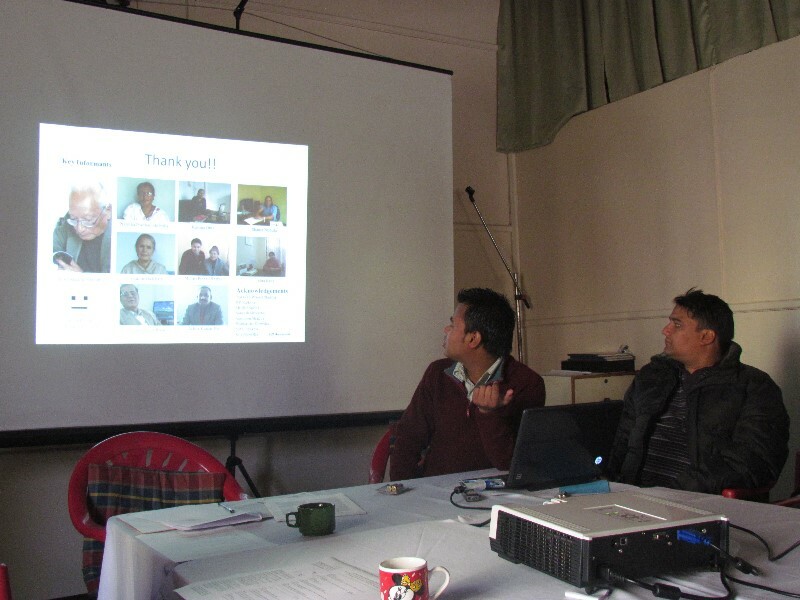 Last week, a seminar on ‘Contemporary Research in Psychology in Nepal’ was organised by Nepalese Psychological Association (NPA) and Central Department of Psychology (TU) on 28 May 2016 (15 Jestha 2073, Saturday) at Padma Kanya Campus, Kathmandu. The session ended after the brief discussion on the papers and closing remarks by Dr. Niraula. The session ended after the brief discussion on the papers and closing remarks by Dr. Rana. The program concluded with the closing speech by Dr. Nandita Sharma, Vice President of NPA. The participation of the students was very enthusiastic. There were over 250 participants from different public and private colleges in Kathmandu, mostly students who are studying Psychology in Bachelor and Master levels. I remember this event had been organised after a long time, I wrote about similar event that took place five years back when I had presented my poster based on my MA thesis. This program could have been better organized if the time had been properly set and logistics were in place properly. There were few shortcomings in the management but the program being organized deserves appreciation and I hope such events will be regularly organized, not after many years. Participants coming for the program in the PK premises. Distinguished guests of the program. Over 250 Participants were present in the seminar. The group picture of the paper presenters on bottom and professors & psychologists on the upper row. The group picture of participants, presenters and organizers. WE ROCK!! 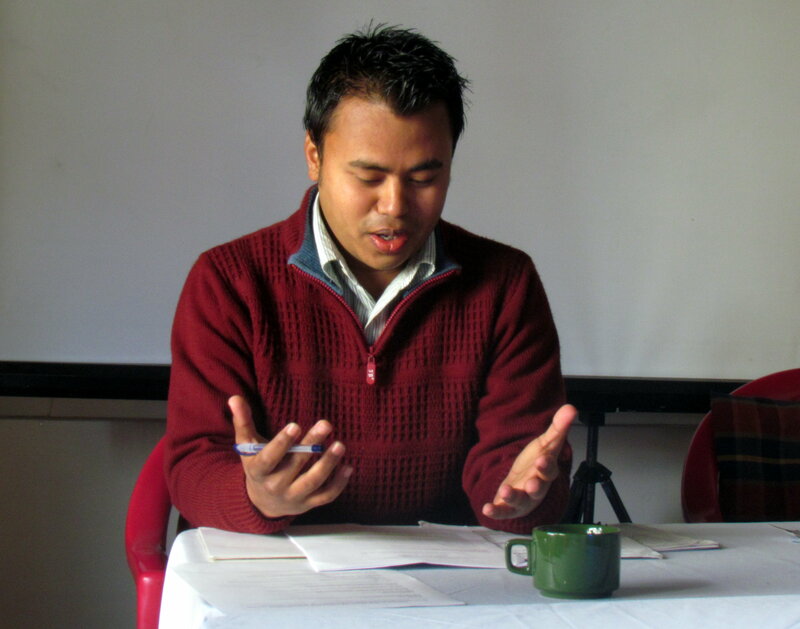 I presented my research paper on ‘Historical Development of Psychology in Nepal’ in the workshop on ‘State of Psychology in Nepal’ jointly organized by Martin Chautari (MC) and Central Association of Psychology Students (CAPS), Tribhuvan University which was recently held on 12 February 2012 (29 Magh 2068). Before starting my presentation, I talked little bit about the background and what prompted me to conduct the research on history of psychology in Nepal. As a psychology student since 2004, I barely knew about the state of Nepalese psychology. I was very much interested in the works of Nepalese Psychologists but I had little information till 2007. So, in 2008, I spent almost a year gathering information and reading articles of expatriate psychologists who have done their work in Nepal online. I came across Robert Levine’s 1993 article which surprised me a lot. The situation reported there seemed to have been remained same since decades. I felt this field has been stuck somewhere in the past and I need to explore the history to help myself and interested young students like me to take it in a different course gradually. 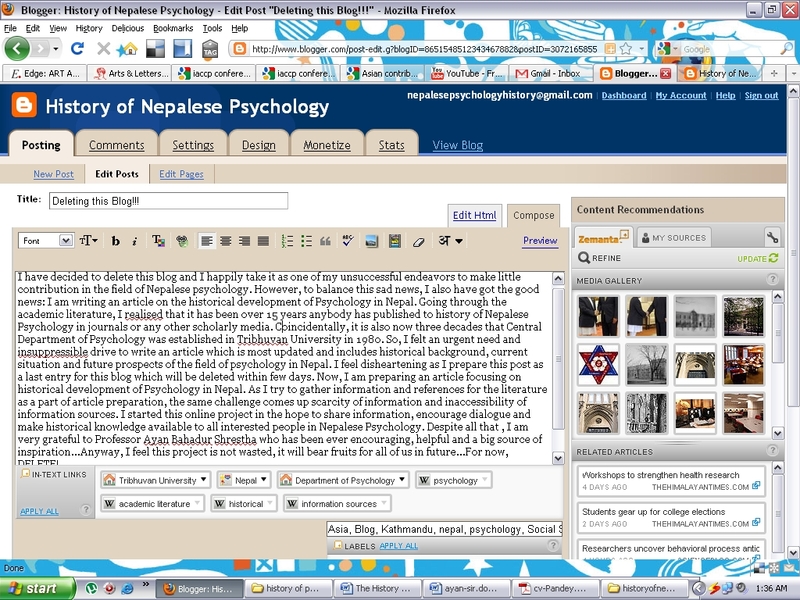 Then, in 2009, after joining Tribhuvan University for MA and reforming student council CAPS, I proposed a group project on History of Nepalese Psychology but it was difficult and did not work out. In 2010, I decided to take it forward as an individual project and write a paper based upon the research. It was not until 2011 that I came to know much about Dr. Panna Lal Pradhan, first Nepali who did PhD in psychology from Oregon University, US. In my presentation, I gave detailed factual information about the historical development of Psychology in Nepal from 1940s to the present. My paper was focused upon the academic aspects of the discipline like the institutionalization of Psychology in various colleges at different points of time. I tried to acknowledge contributions made, to the best of my knowledge, who have done what and when so far for the development of psychology in Nepal. Many WHY questions were left unexplored due to lack of time. Regarding the problems, I commented, “One of the challenges facing psychology is lack of its professionalization and lack of unity on part of senior psychologists among many reasons. We must have a sense of urgency if we really want to develop this field, otherwise, it is hard to imagine how many years or decades it might take in future to see it progress.” No offense to my respected seniors but that is what the history tells. I received the feedback from participants that my presentation was more based on facts and consisted little critical situation analysis. I agree to it. My work is in progress and am still writing it. Regarding critical analysis and presentation, it might be a risky business to do that since we have grown up in a culture where we ‘praise publicly, criticize privately’ (the same person). We still have not learnt to take feedback and criticism positively for our self-improvement and correction. I also took the opportunity to share some of the historical pictures that I had collected during the course of my research work. Here it is for you too for your information. I would like to thank all the people who have helped me in the research, esp. Solution-Focused Brief Therapy (SFBT) workshop was held in TribhuvanUniversityon 26 and 28th of April 2011. It was organized by Central Association of Psychology Students (CAPS) and supported by Central Department of Psychology. 18 participants took part in a 2 day workshop actively which was facilitated by Claudia Van Zuiden, SFBT practitioner fromScotland,UK. The participants included the psychology students fromTribhuvanUniversity, counseling students from CPSSC, and counselors from TPO Nepal and Saathi. Solution-Focused Brief Therapy (SFBT was developed by Insoo Kim Berg (1934-2007), Steve de Shazer (1940-2005), and their colleagues beginning in the late 1970’s in Brief Family Therapy Centre, Milwaukee, Wisconsin. Solution Focused Brief Therapy is an approach to psychotherapy based on solution-building rather than problem solving. SFBT is future-focused, goal-directed, and focuses on solutions, rather than on the problems that brought clients to seek therapy. It focuses upon our competencies to deal with situations and come up with the solutions as the situation requires. This supports our need for competence which according to self-determination theory is one of the basic psychological needs, the fulfillment of which is considered necessary and essential to vital, healthy human functioning regardless of culture or stage of development. Participants developed an understanding of the key concepts of Solution-Focused Therapy, including assuming the client as the expert, and focusing on strengths and solutions, rather than problems and diagnoses. Participants gained insight into Insoo Kim Berg’s interview style and how she responds to clients using their words, mirror their skills and assets, and reframes problems into solutions by watching video case examples. Feedback was provided to participants to explore and to widen their ability to provide and apply different Solution-Focused therapeutic interventions which can be integrated these into their work with clients. The two-day workshop was a great experience for me. I have been always interested in solution and strength-based approaches to psychotherapy and interventions. I have been practicing this in my interviewing during the research work with children and adults. I talk in-detail about the positive events/topics that come up. For example: I realize that I have used similar approach during the interviews with the research participants for my thesis on ‘Attitudes toward Romantic Love among Newars’. I ask them when are the times that they feel their relationships are are flourishing and how they are responsible for it, what have they have done for it? For me, I believe life itself must be solution-focused looking forward to future to embrace what comes, dreaming big and working in the projects that we love. This also reminds me of a wise saying: If there is a solution, why to worry and again if there is no solution, what is the use of worrying. Life is amazing! I would like to thank Claudia, who is visiting Nepal to teach the techniques of Solution-Focused Brief Therapy (SFBT) to trainers and volunteers, for giving us her time to organise the workshop. She is actively engaged in Mental Health Project Nepal. As a part of course at Robert Gordon University (RGU), she will research the benefits of the application of Solution Focused Interventions in developing countries. To know more about her project, check out the links below. I shall be publishing a brief interview later that I have done with Claudia . 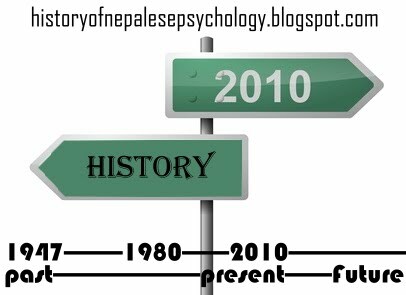 It is my pleasure to let you know that Psychology Network have completed 2 years as an independent online media and platform for Nepalese Psychology and people associated with this field. In the 3rd year, as I recall about what the state of media was related to our field I am very much happy and satisfied with what we have been able to do together. Psychology Network was started in the context when very little communication and information exchange was happening among people in our field, the scenario still remains similar largely. Nepalese Psychology utterly lacked the media where interested people could share the information and exchange ideas. Psychology Network has been instrumental in filling that void to some extent. I hope that Psychology Network will continue to play an effective role in connecting people and letting them share information and ideas freely. Psychology Network is an informal and volunteer-based network dedicated to the field of psychology in Nepal and worldwide. Membership is completely free. You are welcome to join in Psychology Network and become an active member. Members can send and receive messages to the whole group, it remains open which means that the messages sent by members are not censored or withheld for review of its contents. Besides the mailing list, we have a page in facebook (http://www.facebook.com/psychologynetwork), a collection of documents in scribd (http://www.scribd.com/group/68893-psychology-network) and the repository of references in citeulike (http://www.citeulike.org/groupfunc/8082). A decision has been taken to put down the groups in youtube and flickr because of the inactivity. I am extremely grateful to my friends, teachers and all the people who have helped and appreciated the work of Psychology Network. Without your support, participation and appreciation, this project would not have been meaningful. Thank you! I also have an invitation for you to an event that Central Association of Psychology Students (CAPS) is going to organize on 26 December, 2010 (Sunday) in Tribhuvan University. The event is related to Psychology and Mass Media featuring the talks by psychologists, social media professional, psychology-magazine editor and the screening of TED talk with Julian Assange, the founder of wikileaks.